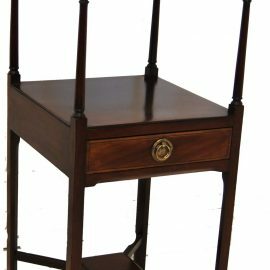 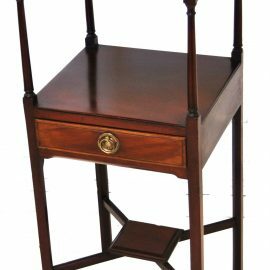 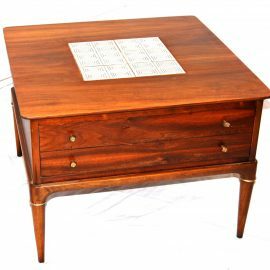 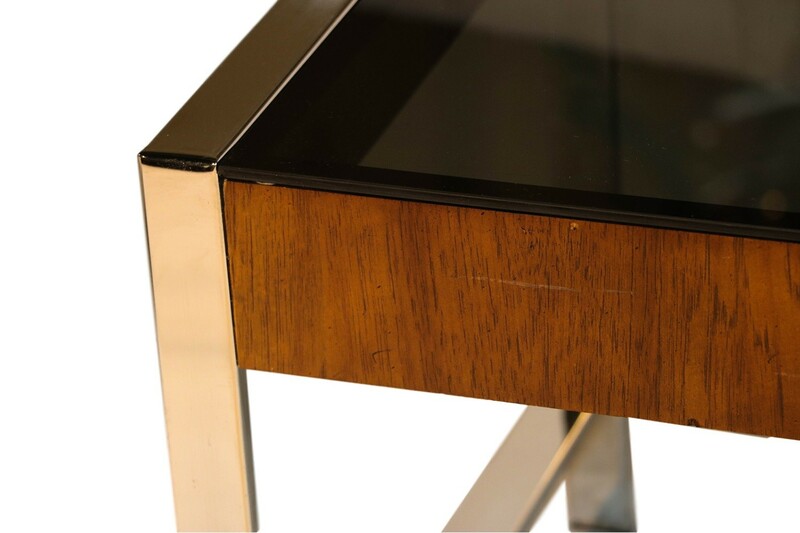 Mid Century Modern side table and sleek designed in the manner of Milo Baughman. 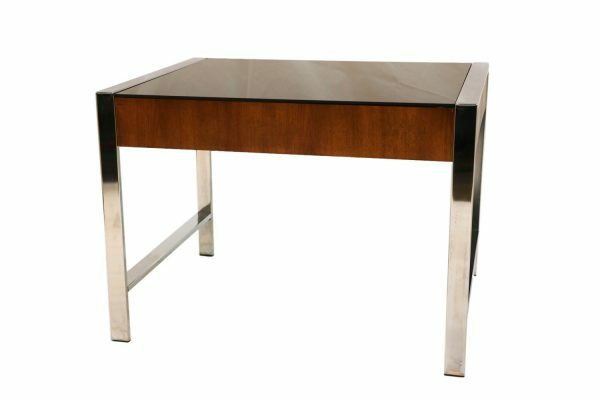 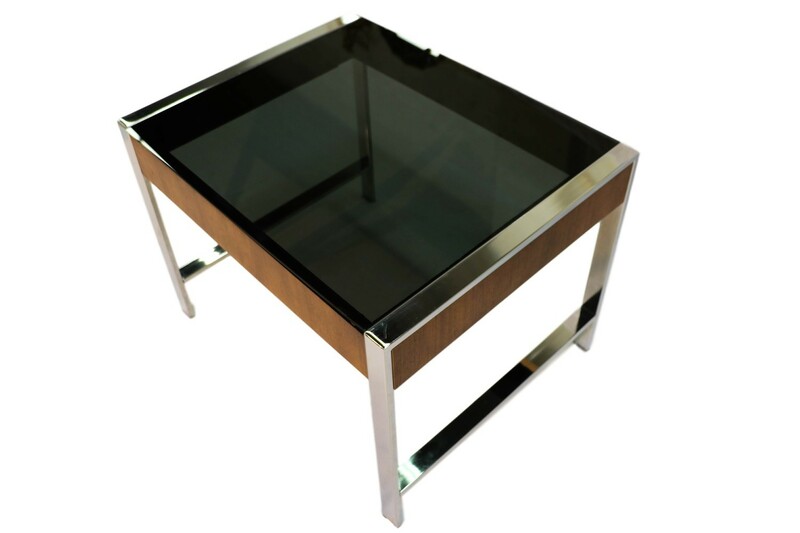 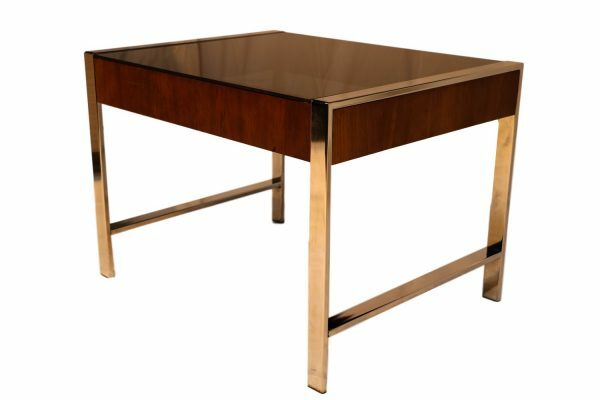 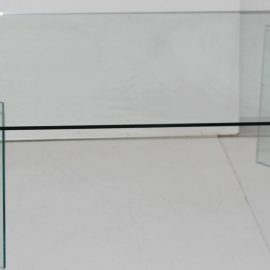 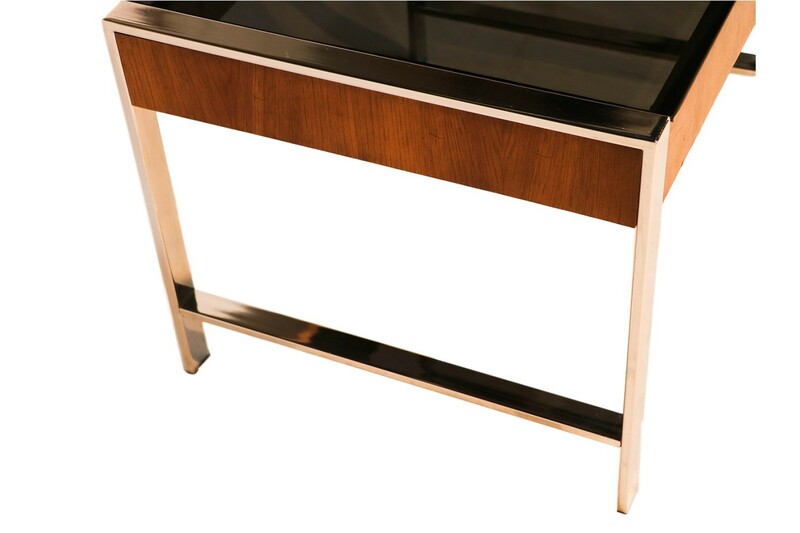 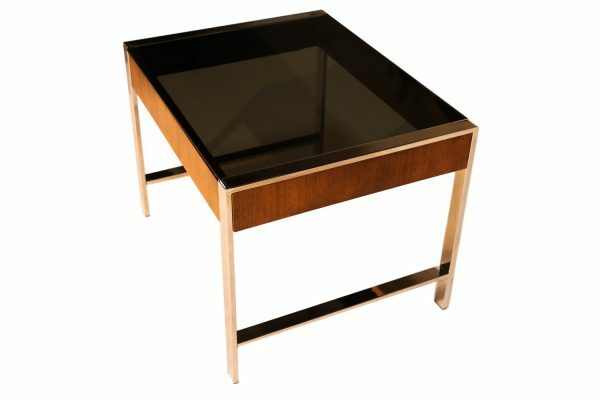 Features mirrored chrome framework with gorgeous warm walnut grain detail fitted with a dark, smoked glass top, very minimalist, modern aesthetic. 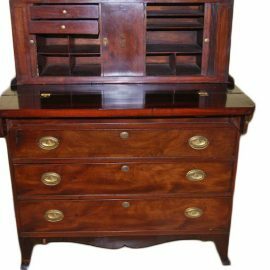 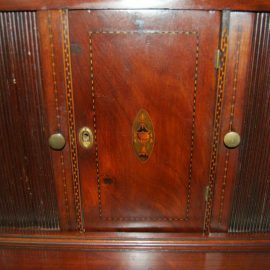 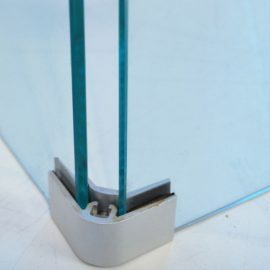 Would look great meshed with Modern or Mid-Century decor. 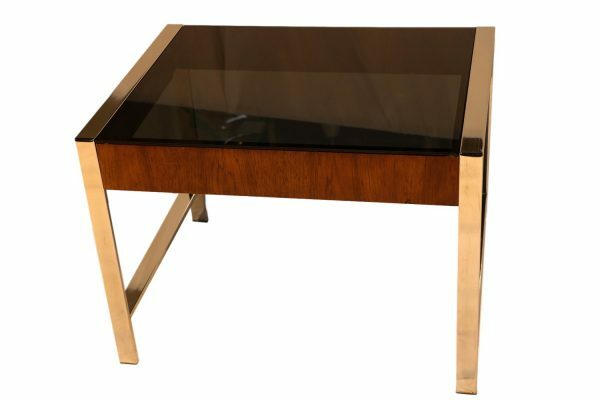 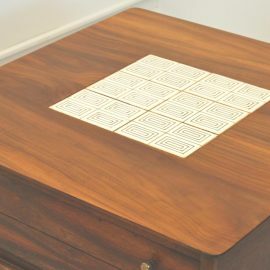 A very fine investment for the collector of the iconic designs of Mid-Century. 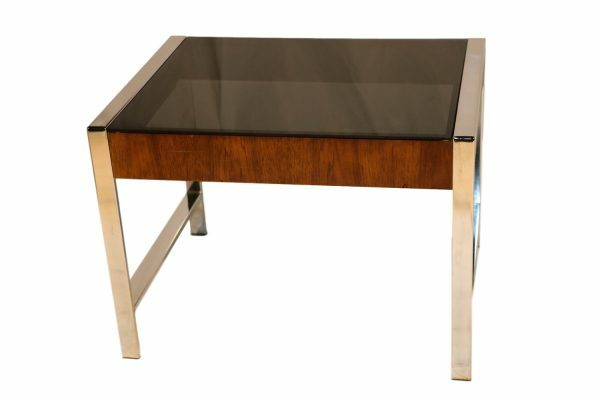 Also, available matching coffee table (sold separately).